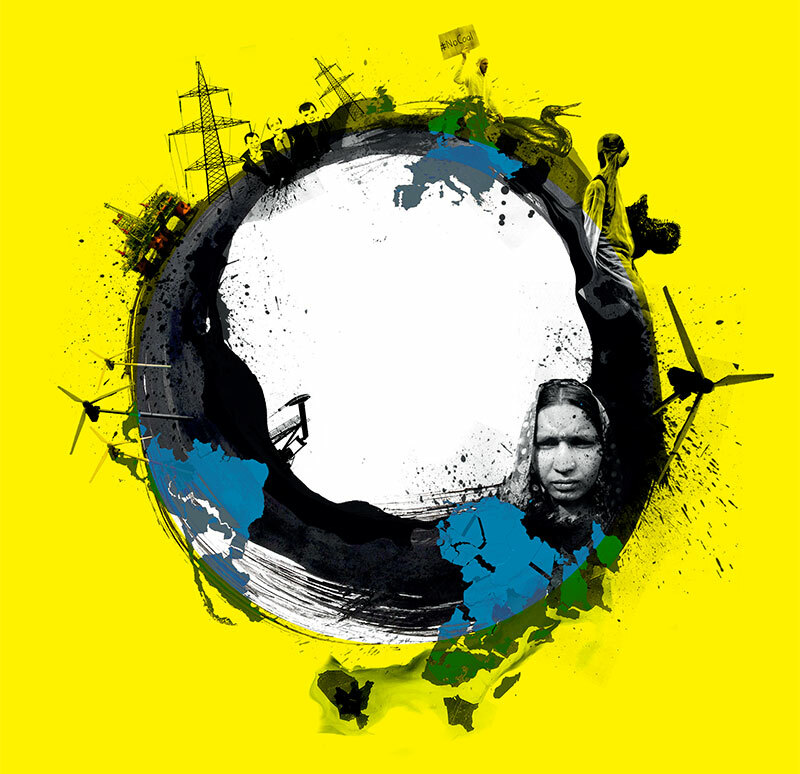 What is the Energy Charter Treaty? The Energy Charter Treaty (ECT) is an international agreement from the mid-1990s. It currently applies to 48 countries stretching from Western Europe through Central Asia to Japan, plus the EU and the European Atomic Energy Community. It grants corporations in the energy sector enormous power to sue states at international investment tribunals for billions of dollars, for example, if a government decides to stop new oil or gas pipelines or to phase out coal. Negotiations for this treaty mostly took place away from the public eye. This means the ECT has so far largely escaped the global storm of opposition which has otherwise hit investor-state dispute settlement in the past decade. Now many more countries in Africa and the Middle East, Asia, and Latin America are in the process of joining the treaty, often without any public debate. All information on this website has been extracted from the report “One treaty to rule them all”. All references are available in the full report. in the first 20 years? No other international trade or investment agreement in the world has triggered more investor-state lawsuits than the Energy Charter Treaty. And the number of claims has exploded in recent years. While just 19 cases were registered during the first 10 years of the agreement (1998-2008), 75 investor lawsuits were filed in the last five years alone (2013-2017). This trend is likely to continue. While in the first 15 years of the agreement 89% of ECT-lawsuits hit states in Central and Eastern Europe, and Central Asia, between 2013 and 2017, 64% of the investor claims filed were against countries in Western Europe. 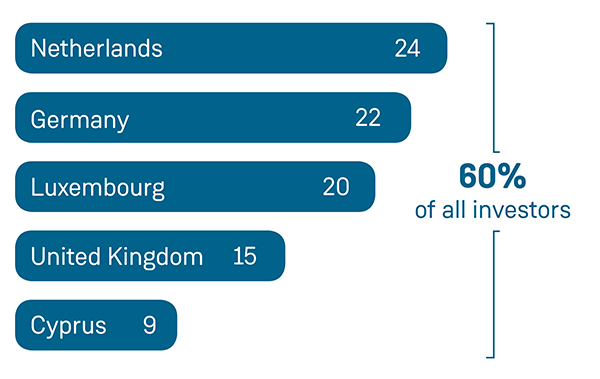 Companies and individuals registered in the Netherlands, Germany, Luxembourg, and the UK, and in the tax haven Cyprus, make up 60% of the 150 investors involved in known claims by the end of 2017. Thanks to the ECT’s overly broad definition of “investor” and “investment”, many of the companies suing under the ECT are mere mailbox companies (firms with hardly any employees in those countries but used by large corporations to shift profits and avoid paying taxes). An extraordinary 23 out of the 24 supposedly ‘Dutch’ investors who led ECT-lawsuits by the end of 2017 are such mailbox companies. They include Khan Netherlands (used by Canadian mining company Khan Resources to sue Mongolia even though Canada is not even a party to the ECT), and Isolux Infrastructure Netherlands and Charanne (both used by Spanish businessmen Luis Delso and José Gomis, two of the richest Spaniards, to sue Spain). 23 out of 24 ECT cases filed by alleged “Dutch” investors are from mere mailbox companies. The ECT is increasingly being used by speculative financial investors such as portfolio investors and holding companies. In 88 per cent of lawsuits over cuts to support schemes for renewable energy in Spain, the claimant is not a renewable energy firm, but an equity fund or other type of financial investor, often with links to the coal, oil, gas, and nuclear industries. Several of the funds only invested when Spain was already in full-blown economic crisis mode and some changes to the support schemes had already been made (which the funds later argued undermined their profit expectations). Some investors view the ECT not only as an insurance policy, but as an additional source of profit. … of all know ECT lawsuits were filed by private equity funds or other types of financial investors. … of the 40 lawsuits over cuts to support schemes for renewables in Spain were filed by financial investors, not renewable energy firms. By the end of 2017 a large chunk of known ECT cases – 59% remained undecided. 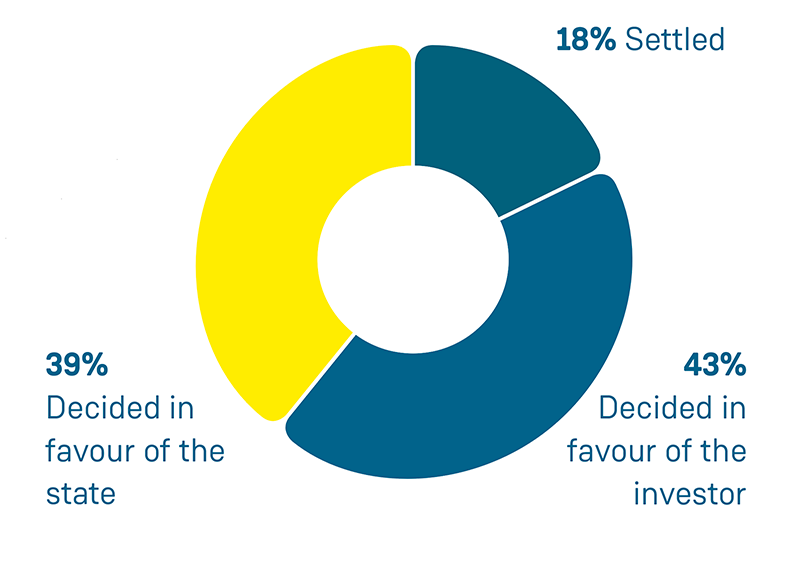 But the majority (61%) of resolved lawsuits have favoured the investor. There are 16 ECT suits in which investors – mostly large corporations or very wealthy individuals – sued for US$1 billion or more in damages. i.e. claims which could still be won – have a collective monetary value of US$35 billion. The staggering price tags of ECT lawsuits show the potentially disastrous impacts they can have on public budgets. Russia 50 billion 20 per cent of Russia’s total annual state budget or the equivalent of the public health spending for 67,358,211 people, nearly half of Russia’s population. Some of the most expensive claims in the history of ISDS include ECT cases such as Vattenfall’s challenge to Germany for over US$5.1 billion as a result of its exit from nuclear power. 67 per cent of ECT investor lawsuits were brought by an investor from one EU member state against the government of another member state, claiming large sums of public money arguably not available to them under the EU legal system. In March 2018 the European Court of Justice ruled that intra-EU investor-state proceedings under bilateral investment treaties violate EU law as they sideline EU courts – an argument which could also apply to the ECT. 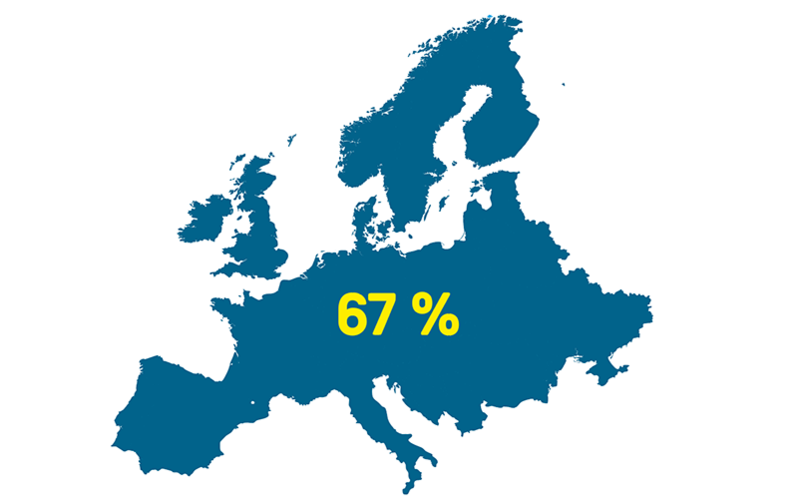 Nearly half of all known intra-EU investment disputes were launched under the ECT (the others being based on bilateral treaties). The ECT is a powerful tool in the hands of big oil, gas, and coal companies to discourage governments from transitioning to clean energy. They have used the ECT and other investment deals to challenge oil drilling bans, the rejection of pipelines, taxes on fossil fuels, and moratoria on and phase-outs of controversial types of energy. Corporations have also used the ECT to bully decision-makers into submission. Vattenfall’s €1.4 billion legal attack on environmental standards for a coal-fired power plant in Germany forced the local government to relax the regulations to settle the case. The ECT can be used to attack governments that aim to reduce energy poverty and make electricity affordable. Under the ECT Bulgaria and Hungary have already been sued for compensation in the hundreds of millions, in part for curbing big energy’s profits and pushing for lower electricity prices. Investment lawyers are considering similar action against the UK, where the government has announced a cap on energy prices to end rip-off bills. The ECT is currently being framed as a solution to global warming. But the treaty is hardly acting as a champion of small-scale and renewable enterprises. A prime example are the many cases that have challenged cuts to support for renewable energy in Spain. More than half of the known ECT-claims against the country (21 out of 40) involve investors with links to the gas, coal, oil, and nuclear industries. More than half of the 40 claims have been filed by investors with links to the coal, oil, gas, and nuclear industries. Which countries are about to sign on to the ECT and who is pushing for the treaty’s expansion? threatening to bind them into corporate-friendly energy policies. Jordan, Yemen, Burundi, and Mauritania are most advanced in the accession process (ratifying the ECT internally). Next in line is Pakistan (where investment arbitration is controversial, but which has already been invited to accede to the ECT), followed by a number of countries in different stages of preparing their accession reports (Serbia, Morocco, Swaziland – renamed eSwatini in April 2018 –, Chad, Bangladesh, Cambodia, Colombia, Niger, Gambia, Uganda, Nigeria, and Guatemala). Many more countries have signed the non-binding International Energy Charter political declaration, which is considered the first step towards accession to the legally binding Energy Charter Treaty. There is an alarming lack of awareness about the ECT’s political and financial risks in the ECT’s potential new signatory states. Officials from ministries with experience in negotiating investment treaties and defending investor-state arbitrations are largely absent from the process, which is being led by energy ministries. This is worrying as many of these countries already have disastrous experience with investor lawsuits under other investment agreements, which could multiply if they sign on to the ECT. This is reminiscent of the 1990s when developing countries signed heaps of bilateral investment treaties hoping they would bring investment whilst remaining largely unaware of the risks. who are eager to gain access to the rich energy resources in the global South and to expand their own power and profit opportunities. While they downplay or dismiss the risks to states of acceding to the ECT, they promote the agreement as a necessary condition for the attraction of foreign investment, and in particular clean energy investment for all. But there is currently no evidence that the agreement helps to reduce energy poverty and facilitate investment, let alone investment into renewable energy. Who are the ECT profiteers? 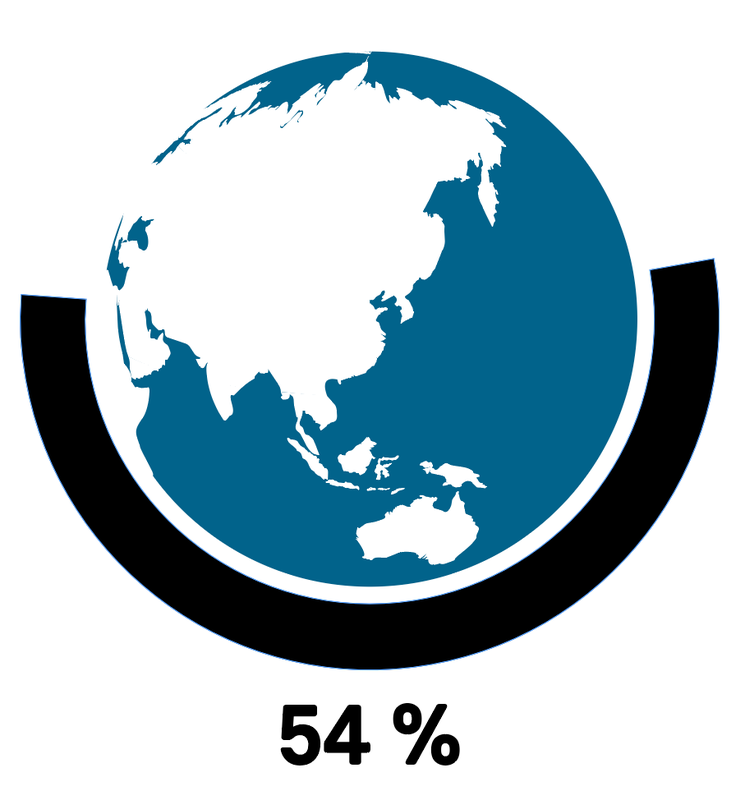 25 arbitrators have captured the decision-making in 44 per cent of the ECT cases while two-thirds have also acted as legal counsel in other investment treaty disputes. Acting as arbitrator and lawyer in different cases has led to growing concerns over conflicts of interest, particularly because this small group of lawyers have secured extremely corporate-friendly interpretations of the ECT, paving the way for even more expensive claims against states in the future. 9 Exclusively nominated by investors. Wilmer Hale ECT cases against Spain and the Czech Republic boosted his rather recent career as super-arbitrator. A real go-to arbitrator for investors who appointed him in 18 of his total 20 ISDS cases. In the infamous Philip Morris suit over anti-smoking laws in Uruguay, Born was the only arbitrator who sided with the tobacco giant. 7 Nominated by investors in 3 cases; sat 4 times as President. 20 Essex Street Chambers (2011-) Norton Rose (1992-2011) All concluded ECT cases, which involved Fortier, were investor-wins, including Yukos where he billed a staggering €1.7 million for his services as tribunal chair. For many years Fortier sat on company boards, including those of mining giants Alcan Inc. and Rio Tinto, where he developed a corporate world view. 6 Exclusively nominated by investors Poncet Law(2017-) CMS (2014-2017) ZPG Avocats (1986-2014) A prime example of a corporate lawyer turned arbitrator. ECT cases make up 60 per cent of his arbitrator caseload, but he has also acted as counsel for energy giants like Repsol. He was the investor-appointed arbitrator in the Yukos cases where he billed €1.5 million. This seems to have earned him a pro-investor reputation: when Rockhopper choose Poncet as arbitrator in its ECT challenge against Italy, investors celebrated, saying the claim would now be “a walk in the park” Poncet is also on the board of financial services company London Capital Group. 5 Nominated by investors in 4 cases, as President in another. Sidley Austin (2002-17); continues to co-counsel with the firm A prominent “double hatter” and revolving door case. After being Vice Minister for Foreign Affairs and investment treaty negotiator with the Bulgarian Government in the 1990s, he moved to law firm Sidley Austin where he sued countries in ISDS proceedings, acting as lawyer for major corporations like Vivendi, Bechtel, Veolia, Philip Morris, and TransCanada, the pipeline developer that sued the US after the government halted the dirty Keystone XL pipeline. He continues on-the-side-lawyering with Sidley. Many states have questioned his arbitrator independence over different conflicts of interest, including in ECT cases. 5 Exclusively nominated by investors 20 Essex St Chambers (2005-) White & Case (1961-2005) The “reigning king of international arbitrators” and the ultimate pro-corporate arbitrator who sat in 45 known ISDS tribunals, but was never nominated by a state. He is well-known for his investor-friendly interpretation of vaguely worded treaty clauses and as being an ardent defender of the status quo in investment arbitration. He opposes reforms to ISDS, for example, to improve the independence of the system, and has attacked reform-oriented colleagues for “bringing termites into our wooden house of investor state dispute settlement”. 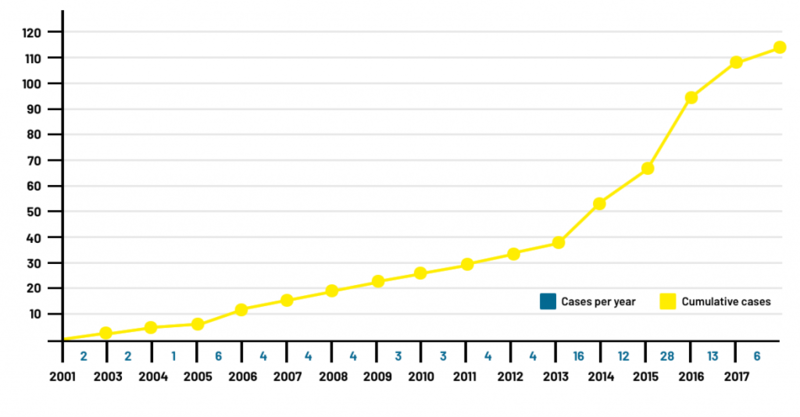 Law firms have been key drivers of the surge in ECT cases, relentlessly advertising the treaty’s vast litigation options to their corporate clients, encouraging them to sue countries. Allen & Overy (UK) 16 Works for investors (with very few exceptions). Brought the first-ever ECT-based arbitration in 2001 (of US energy giant AES vs. Hungary). Today suing Spain is their main asset: 10 out of the firm’s 16 total known ECT engagements are against Spain. The firm also represented AES when it challenged Hungarys attempt to curb excessive profits of energy generators in 2007. King & Spalding (US) 15 Has only represented investors. 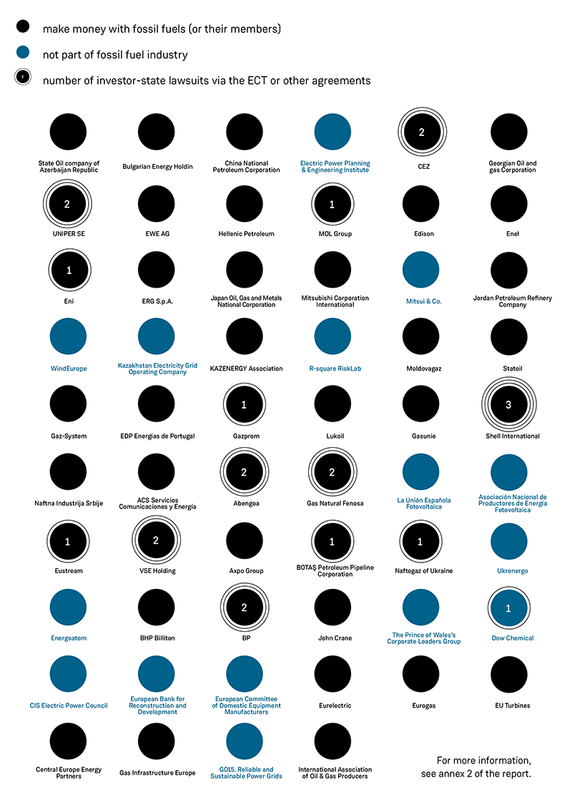 If there is one Big Oil law firm, this is it. But in the ECT world they are mainly engaged in the renewable claims against Spain and Italy. Also representing UK oil company Rockhopper in a claim that hit Italy after its exit from the ECT, challenging a ban on offshore oil drilling. 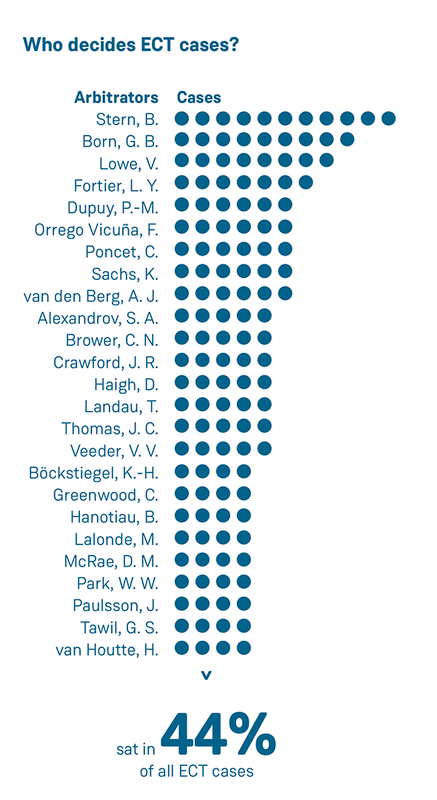 Arnold Porter Kaye Scholer (US) 10 Has only represented states, but acts on both sides in ISDS more generally. No firm has been appointed more often by states in ECT disputes. Several of its lawyers are on the ICSID list of arbitrators (and can be picked as tribunal presidents when parties can’t agree). Freshfields Bruckhaus Deringer (UK) 10 Represented mostly investors. The world’s busiest ISDS firm with involvement in 45 investment treaty cases in April 2018. Represents EVN challenging Bulgaria’s decision to lower escalating energy prices. Weil Gotshal & Manges (US) 9 Represented mostly states, but acts on both sides in ISDS disputes more generally. Represents the Czech Republic in its six ECT cases (together with Arnold Porter). Also acted as counsel for Czech energy behemoth ČEZ, which won a €100 million settlement after a failed energy privatisation in Albania. Cuatrecasas, Gonçalves Pereira (ES) 8 Has only represented investors. All its arbitrations are against Spain, including the first known claims by Japanese investors. The top lawyer at the ECT Secretariat joined the institution after nearly 13 years with Cuatrecasas – a notable revolving door case. White & Case (US) 7 Represented mostly states, but acts on both sides in ISDS disputes more generally. Another veteran ISDS law firm with over 100 cases which it handled at ICSID in total and 35 ongoing investor-state lawsuits in April 2018. Latham & Watkins (US) 7 Has represented both states & investors. The world’s second richest law firm by revenue has a knack for Spanish elites: amongst others, it represented Spanish businessmen Luis Delso and José Gomis in their suits against Spain while hiring Spain’s former Prime Minister José María Aznar as political advisor in early 2018. 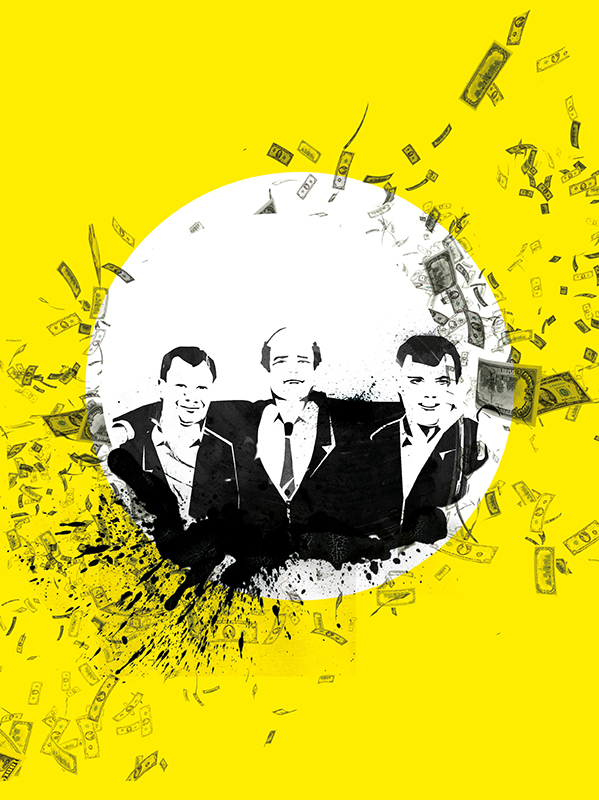 ArBLit – Radicati di Brozolo Sabatini (IT) 6 Has only represented investors. A small boutique with a near exclusive focus on international arbitration. Nearly all cases relate to changes in the Czech renewables sector. Shearman & Sterling (US) 6 Has only represented investors. The US$1,065 per hour lawyers from the Yukos mega arbitrations. Elite arbitrator Emmanuel Gaillard is the firm’s figurehead, attracting vast amounts of work as counsel in ISDS cases. Third party funders are becoming more and more established in ECT arbitrations. These investment funds finance the legal costs in investor-state disputes in exchange for a share in any granted award or settlement. This is likely to further fuel the boom in arbitrations, increase costs for cash-strapped governments, and make them more likely to cave in to corporate demands. which puts into question the latter’s neutrality and ability to act in the interest of the ECT’s signatory states as well as a transition off fossil fuels. 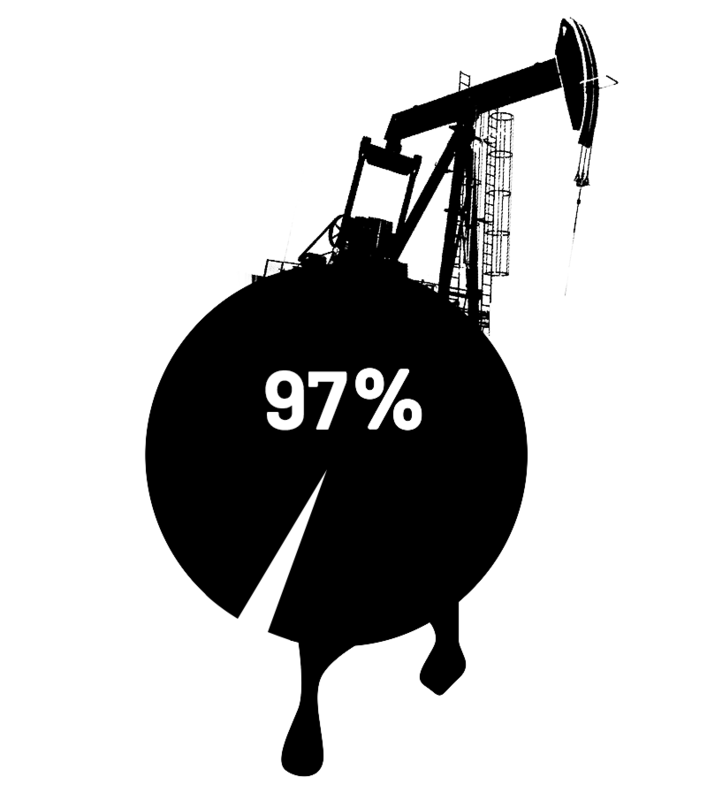 More than 80 per cent of the companies on the ECT’s Industry Advisory Panel make money with oil, gas, and coal. Two thirds of the lawyers on the ECT’s Legal Advisory Task Force have a financial stake in investor lawsuits against states. Both advisory groups are given ample opportunities to influence the Secretariat, ECT member states, and the wider Charter process in their own interest. Several high-ranking officials at the ECT Secretariat were with arbitration law firms before and/or after they worked at the Secretariat. Bonanza for lawyers and investors! After 20 years of the ECT in action, it is clear that the dangers of its foreign investor rights outweigh any potential gains that states might have expected from signing the agreement. In summary, here are eight key reasons for leaving – or never joining – the ECT. Reason #1: The ECT is a tool for big business to make governments pay when they regulate to fight climate change, make energy affordable, and protect other public interests. It has been used to attack environmental restrictions on dirty power plants, bans on climate-wrecking new fossil fuel projects, cuts to soaring electricity prices, rectifications to failed energy privatisations – and the list goes on. Reason #2: Under the ECT governments can be forced to pay out billions in taxpayers’ money to compensate corporations, including for missed future profits that they could have earned in theory. 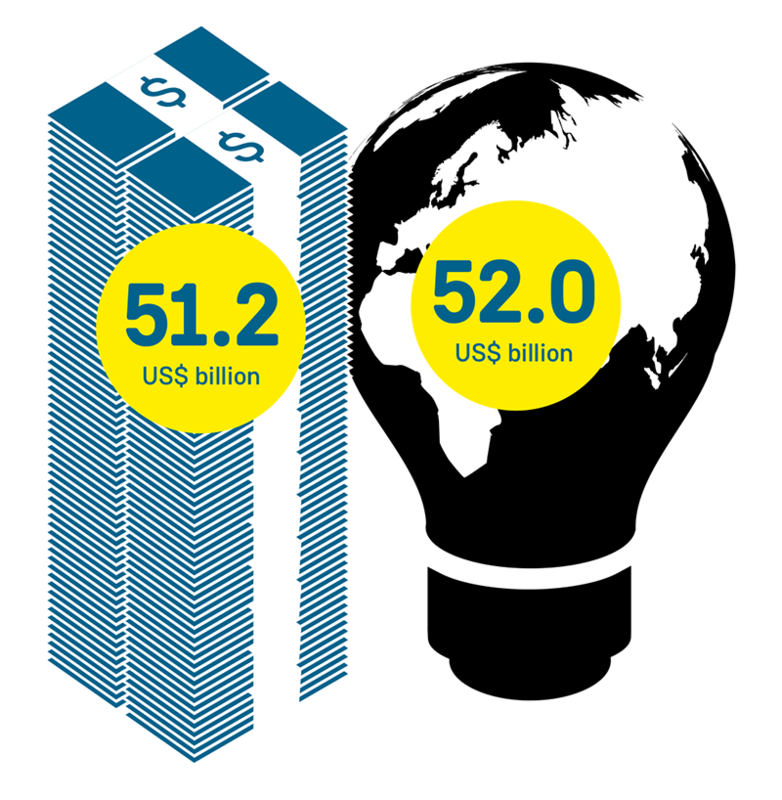 The value of the ECT lawsuits pending at the end of 2017 – US$35 billion – exceeds the GDP of many countries and the estimated annual amount needed for Africa to adapt to climate change. Due to the opacity of ECT arbitrations, the actual figure is likely to be much higher. Reason #3: The ECT is an instrument to undermine democracy and bully decision-makers, acting as a brake to desirable policy-making. This is particularly worrying for the rapidly-needed transition off fossil fuels and to wind, wave, and solar energy, which requires bold regulations by governments and will curtail the profits of some of the world’s largest oil, gas, and coal corporations. Reason #4: Investor-state arbitration under the ECT is highly flawed. It is not fair and independent, but dominated by a self-serving, multi-million dollar industry of elite law firms, arbitrators, and speculative funds. At the expense of states and taxpayers, they have used their power to secure extremely corporate-friendly interpretations of the ECT and a steady flow of costly lawsuits. 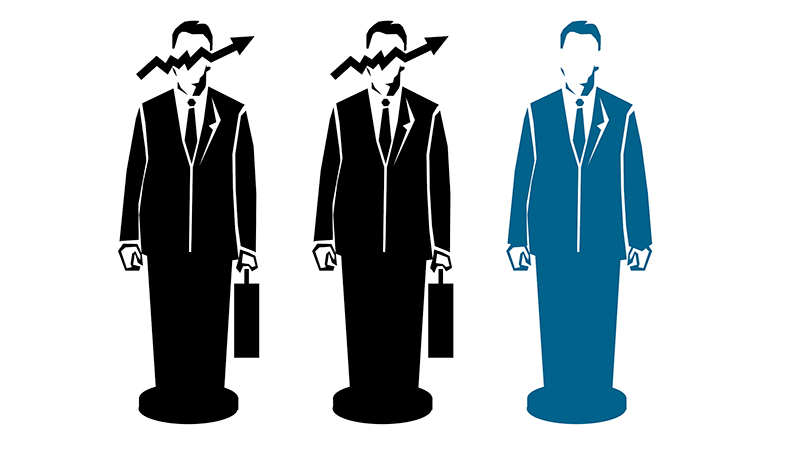 Reason #5: The ECT’s investor privileges do not bring the economic benefits claimed for them. There is currently no evidence that the agreement helps to reduce energy poverty and facilitate investment, let alone investment into renewable energy. The ECT can even be used to undermine the clean energy transition and measures to guarantee affordable access to electricity for all. Reason #6: The rules for settling investor disputes under the ECT undermine domestic legal systems and are at odds with the rule of law as they discriminate, being an exclusive legal channel for foreign investors alone. Following a recent ruling by the EU’s highest court, it is questionable whether the ECT’s investor privileges are even compatible with EU law. 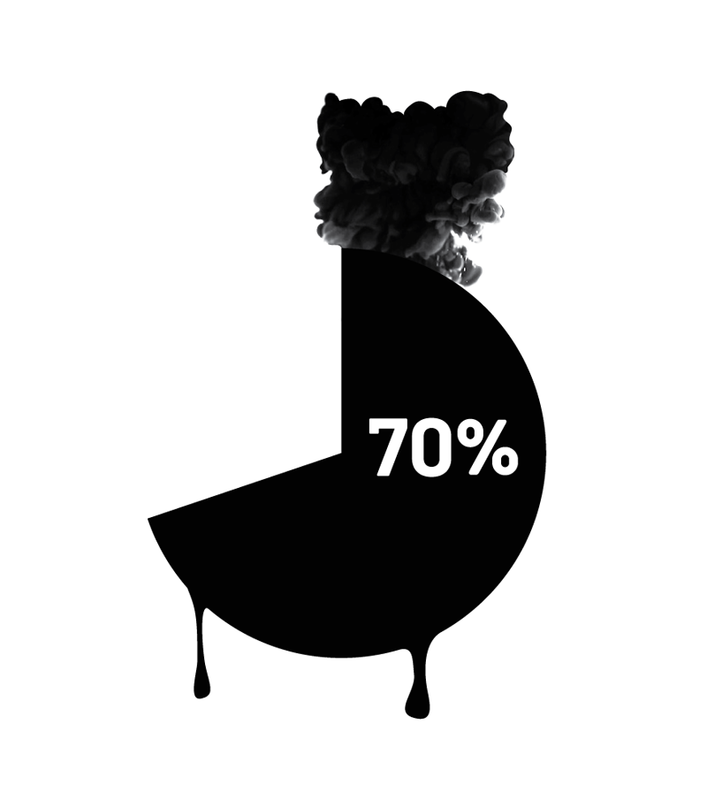 Reason #7: It is highly unlikely that the ECT modernisation process, which started in 2017 will change the fundamental flaws of the agreement’s parallel justice system for corporations. Even minor reforms such as making investor lawsuits less secretive seem to be controversial within the ECT membership. Reason #8: Due to its wide geographical reach and the near limitless rights it grants to investors in the energy sector, the ECT is arguably more dangerous for the public purse, public interest policies and democracy than other international investment treaties. Globally, no other agreement has triggered more investor attacks against states than the ECT. 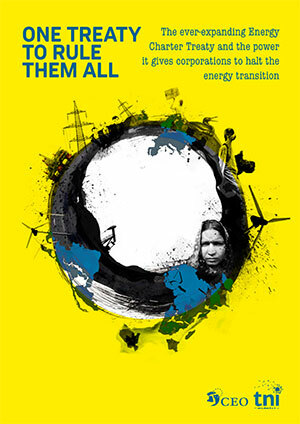 All information on this website has been extracted from the report “One Treaty to rule them all: The ever-expanding Energy Charter Treaty and the power it gives corporations to halt the energy transition,” written by Pia Eberhardt, Cecilia Olivet and Lavinia Steinfort.  Corporate Europe Observatory (CEO), a research and campaign group working to expose and challenge the disproportionate influence that corporations and their lobbyists exert over EU policy-making. 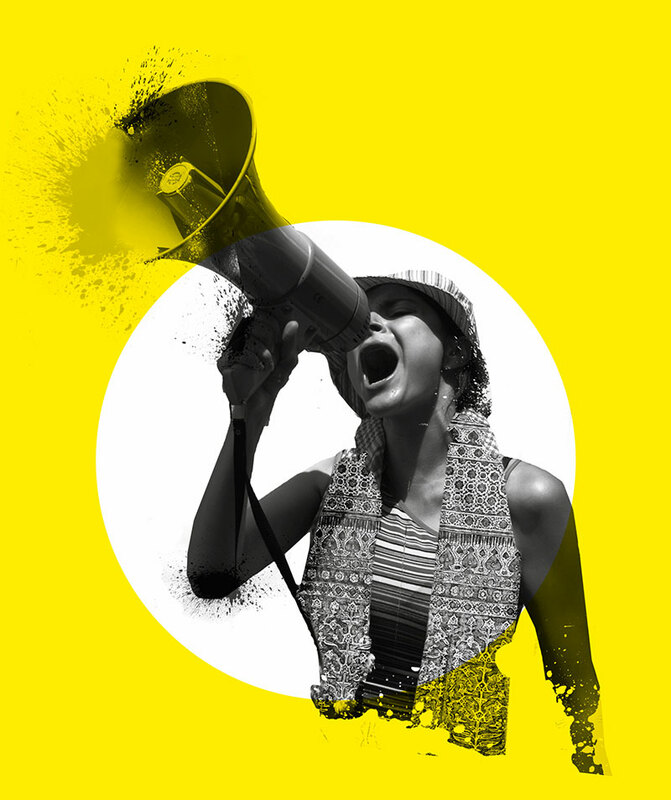 The Transnational Institute (TNI), an international research and advocacy institute committed to building a just, democratic and sustainable planet. The energy transition is a regulatory mega-task. Moving away from carbon-intensive fuels and towards an economy that relies solely on renewable energy sources requires dramatically new policy frameworks. But such policy-making is severely limited by the investor privileges in ECT-style agreements – and by the legal industry who treats regulatory changes in the energy sector like a petri-dish for expensive investor lawsuits. The public right to participate in environment-related decisions is a core principle of international environmental law. It is also included in the Paris Agreement. The energy transition is already largely driven by citizens, municipalities, and cooperatives. But, investors’ large financial ECT claims can put pressure on governments to cave in to corporate demands and circumvent public opposition and democratic decision-making. In many parts of the world communities and governments, particularly on the local level, are reversing failed privatisations and taking energy distribution systems back into public hands. But reversing failed energy privatisations can trigger investor-state lawsuits with potential damages claims running into millions. According to the International Energy Agency, 1.1 billion people – 14 per cent of the world population – lack access to electricity, while many more receive poor and inadequate service. Government action to reduce energy poverty could well trigger investor challenges under the ECT. Several Eastern European countries have already been sued for hundreds of millions of dollars in compensation under the ECT – all because they took steps to curb big energy’s profits and lower electricity prices. 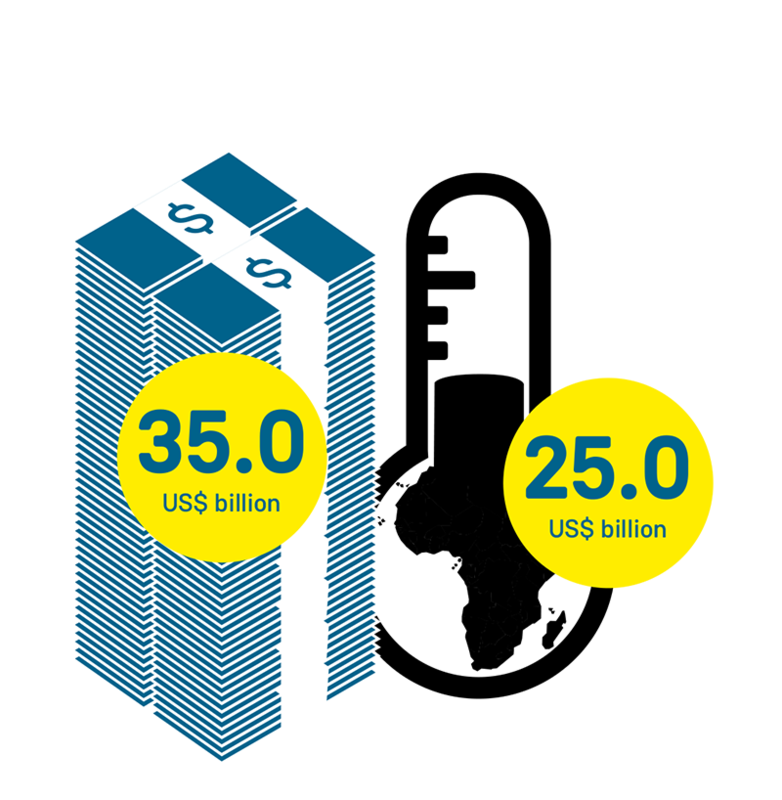 To reach the goals of the Paris Climate Accord clean energy investments need to be scaled up significantly above current levels – to an average of more than US$700 billion per year. The far-reaching investor privileges in the ECT and other agreements threaten to divert public monies from the critical task of financing the energy transition. Cutbacks to state support for fossil fuels would likely trigger expensive investor lawsuits under the ECT. What would happen if today’s “favourable regulatory regime” for big oil, coal, and gas (read: billions in fossil fuel subsidies) was replaced by an “entirely new regime” (read: zero fossil fuel subsidies)? Governments which halt dirty power plants or pipelines to keep fossil fuels in the ground, could be held liable for millions if not billions in damages under the ECT. The risk is illustrated by Vattenfall’s €4.3 billion lawsuit against Germany over the shut down of two nuclear power plants. The ECT can also be used to put significant pressure on governments to allow new projects which would accelerate climate change and further lock-in fossil fuel dependence. 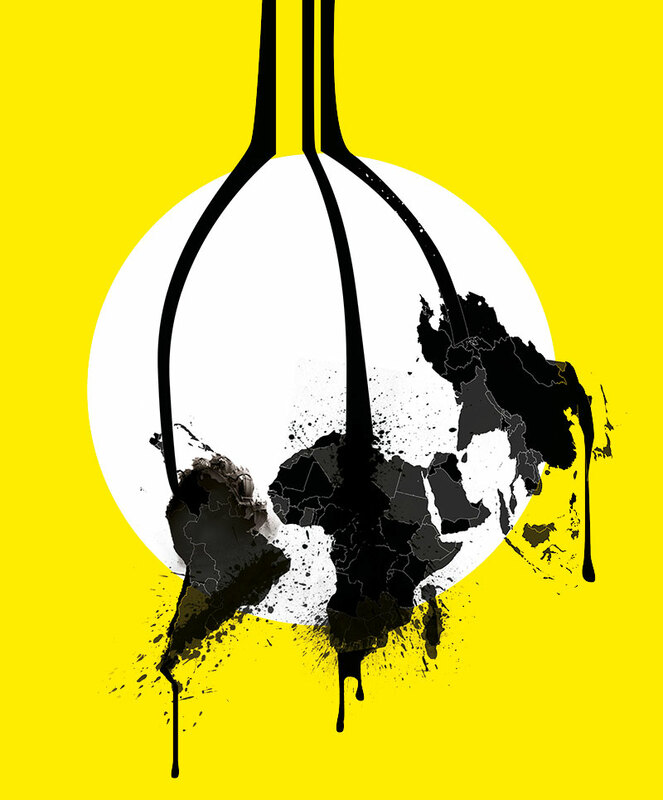 This is illustrated by Rockhopper’s ECT challenge to Italy’s ban on new off-shore oil drilling projects. Since 2011 Spain has been hit by 40 ECT lawsuits over cuts to renewable energy subsidies. In the midst of a harsh financial crisis and succumbing to lobbying from large utilities such as Endesa, the conservative government had rolled back price guarantees for renewable energy producers, for which costs had surged. One claim has been discontinued and two dismissed, but Spain, so far, lost two cases in 2017 and 2018 and was ordered to pay €128 million to London-based private equity fund Eiser, and €53.3 million to Luxembourgish fund Novenergia. In the 35 cases yet to be decided, investors are demanding over €7.5 billion in compensation – a mind-boggling sum almost equivalent to Spain’s entire healthcare budget. Similar cases have been filed against the Czech Republic, Italy, and Bulgaria. … can be abused by speculative funds trying to make windfall profits: In 88 per cent of the lawsuits, the claimant is a private equity fund or other type of financial investor. Examples include Masdar (an Abu Dhabi Government-owned fund, which also finances oil and gas drilling) and RREEF (part of DWS, a fund of German financial giant Deutsche Bank, which also invests in coal, gas, and airports). Several of the funds only invested in Spain after 2008 and/ or increased their investments in 2010/11 – ie when it was clear the country was already in full-blown crisis mode and some changes to the solar support schemes had already been made. Out of the 110 companies involved in the ECT claims, at least 63 invested after 2008 (sometimes just purchasing existing solar plants); at least 8 more later continued investing despite the changes. Afterwards, these funds argued that their profit expectations were undermined by the change in government policy. … can make taxpayers pay for corporations’ imaginary future profits: The tribunal in the Eiser case ordered Spain to pay €128 million in compensation for “lost future cash flows”. These are imaginary profits that the fund might have earned with its solar power plants over an assumed 25-year-life in a hypothetical scenario without any subsidy cuts. The Spanish Supreme Court has rejected similar damages claims for extrapolated future profits as absolutely speculative. But ECT tribunals regularly hand out public monies on the basis of such corporate pipe dreams. Who will foot the bill? Ordinary Spaniards who have already been hit by harsh austerity measures, some of whom are also struggling to repay loans which they borrowed to build once-promising solar roofs and fields. There is no compensation bonanza for them. … could also be used to challenge subsidy cuts for climate-wrecking fossil fuels: In the Eiser case the tribunal found that Spain violated the ECT when it “radically altered” its support scheme for renewables. According to the arbitrators Spain “crossed the line” and “violated the obligation to accord fair and equitable treatment… when the prior regulatory regime”, which had attracted the Eiser fund, “was definitively replaced by an entirely new regime”. This reasoning could easily be applied if the current regulatory regime, which globally subsidises oil, coal, and gas energy in the trillions, was replaced by various governments by an “entirely new regime” which abolishes fossil fuel subsidies. In 2014 the arbitrators in three related ECT claims (commonly referred to as the Yukos cases) ordered Russia to pay a whopping US$50 billion in compensation to former shareholders of now defunct oil giant Yukos. The tribunal held that measures by the Russian Government which had led to the dismantling of Yukos in 2006/07 amounted to an illegal indirect expropriation. The ruling was annulled by a Dutch court in 2016, which found that the arbitrators had lacked jurisdiction. This decision is currently under appeal while a second wave of Yukos claims is ongoing (by the company’s former management). … of the colossal amount of money at stake: The US$50 billion order against Russia – roughly equivalent to the GDP of Slovenia – is the largest award in the history of investment arbitration. The total legal costs related to the case – US$124 million, out of which Russia was ordered to pay nearly US$103 million – are as remarkable. Yukos’ lawyers (from Shearman and Sterling, subsequently named “the $1,065 per hour lawyers” by the media) alone billed over US$81 million for legal representation and assistance. Together, the tribunal’s three arbitrators put over €5.3 million into their own pockets; their assistant walked away with nearly €1 million – about 10 times the annual salary of a judicial clerk for a US Supreme Court Judge. … Russia lost despite never having ratified the ECT: Russia signed the ECT in 1994, but the Russian Duma never ratified it. Still, the arbitrators accepted the claim, arguing that the ECT applied provisionally to Russia from the date of its signature (until its subsequent withdrawal). While the Dutch court later scrapped this reasoning (arguing that the ECT’s dispute resolution provisions were at odds with the Russian Constitution and therefore not part of the provisional application), this decision does not bind future tribunals. Some have already ignored it and – again – accepted jurisdiction over ECT disputes against Russia. Yas Banifatemi of law firm Shearman & Sterling, who represented the Yukos shareholders. … the ECT’s inconsistency with the rule of law, which rests on the idea of equal treatment – that every individual, regardless of wealth and power, has an equal right to bring a case to court. The ECT however creates a parallel justice system which is exclusively available in practise to certain wealthy investors. This creates the absurd situation where in a repressive regime like Russia, rich tycoons have an extra track for legal redress not available to say, victims of torture or other human rights violations. Rather than advancing the rule of law, this unequal treatment can undermine it even further, for example, by reducing incentives to improve host states’ laws and court systems. Since May 2017 UK-based oil and gas company Rockhopper has been suing Italy over the state’s refusal to grant a concession for oil drilling in the Adriatic Ombrina Mare field. The refusal came after the Italian Parliament banned all new oil and gas operations near the country’s coast in 2016 amidst concerns over the environment, high earthquake risks, and strong opposition to the projects from residents. Rockhopper claims compensation for its sunk costs of about US$40 to $50 million – and for the US$200 to $300 million which it could have made with the oil field had it not been banned. … circumvent public opposition to dirty energy projects: The Italian Parliament’s ban on new drilling projects near the Italian shore followed a decade of protests and campaigning by residents in many coastal regions of Italy. In April 2013 around 40,000 people – “from the Catholic church to rasta-haired youth groups, from the local tourist industry to coastal mayors, regardless of their political affiliation” as campaigners described it – took to the streets in Pescara to protest against the Ombrina Mare project. They could now pay a high price for having pushed the Italian Parliament to halt new climate-wrecking oil drilling. … sue countries after they have left the agreement: After being hit by its first multi-million euro claim under the ECT, Italy announced it was leaving the treaty at the end of 2014. Rockhopper led its ECT claim against the country 27 months later. This is possible because of the deeply anti-democratic survival or ‘zombie’ clause, which allows the ECT investor rights to live on even after a country has pulled out of the treaty. For investments made before Italy’s withdrawal took effect (on 1 January 2016) the country can still be sued for two more decades under the ECT, ie until 1 January 2036. So while the country is already the second most sued state under the ECT, and despite having left, Italy could still be subject to many more claims. Rockhopper’s legal costs are funded by an unknown litigation financier who will cash in a share of the eventual award.29 This allows the company to draw out the proceedings, increasing Italy’s defence costs and making the country more likely to cave in to corporate demands. As such funding arrangements do not have to be disclosed in ECT- proceedings, potential conflicts of interest an arbitrator might have due to ties with the funder might never be un-earthed. Following its first ECT success, (Vattenfall sued Germany again in 2012, seeking €4.3 billion plus interest for lost profits related to two of its nuclear power plants. 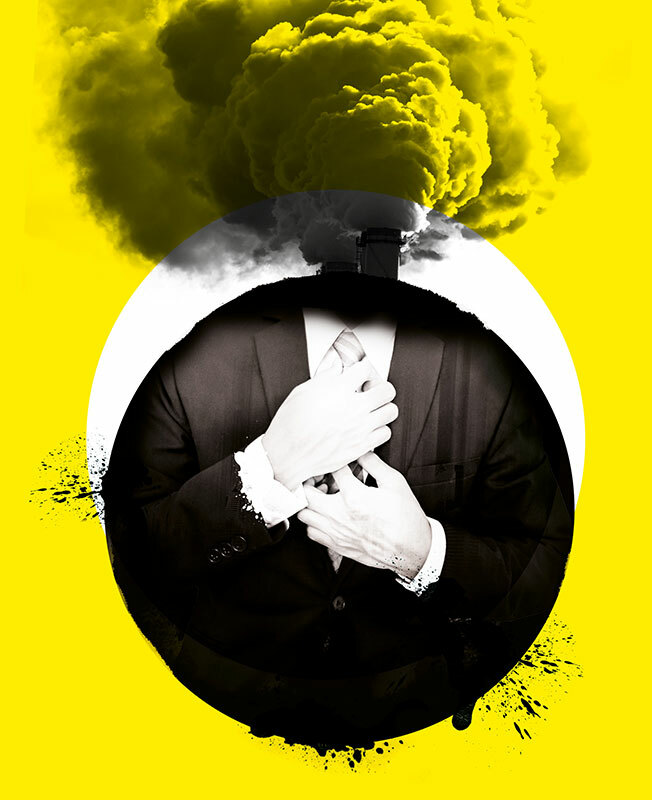 The legal action came after the German Parliament decided to speed up the phase-out of nuclear energy following the Fukushima disaster in 2011 and countrywide anti-nuclear protests. 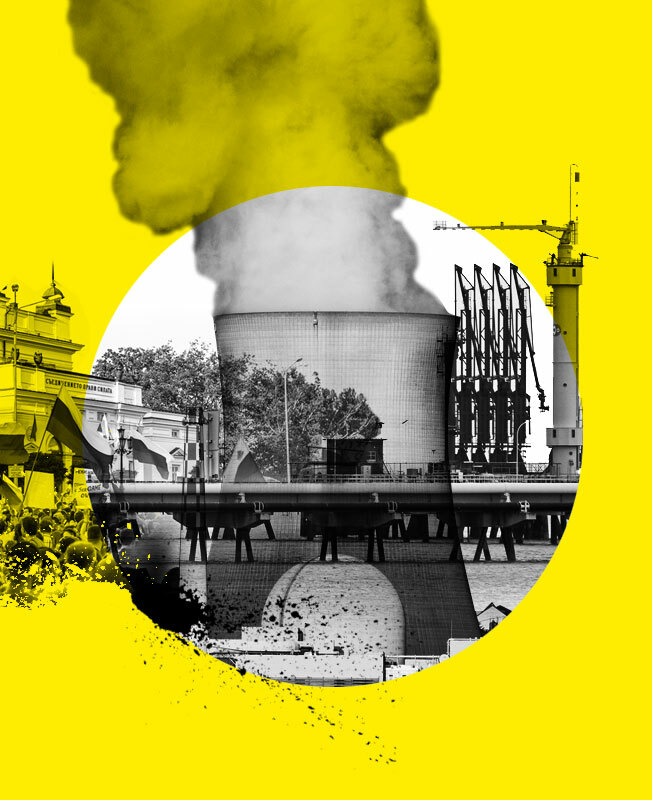 Amongst other things parliamentarians ordered the immediate and permanent shutdown of Germany’s oldest reactors, including Vattenfall’s Krümmel and Brunsbüttel plants. Due to several breakdowns, both had already been out of service for several years. The case is ongoing at the time of writing (June 2018). 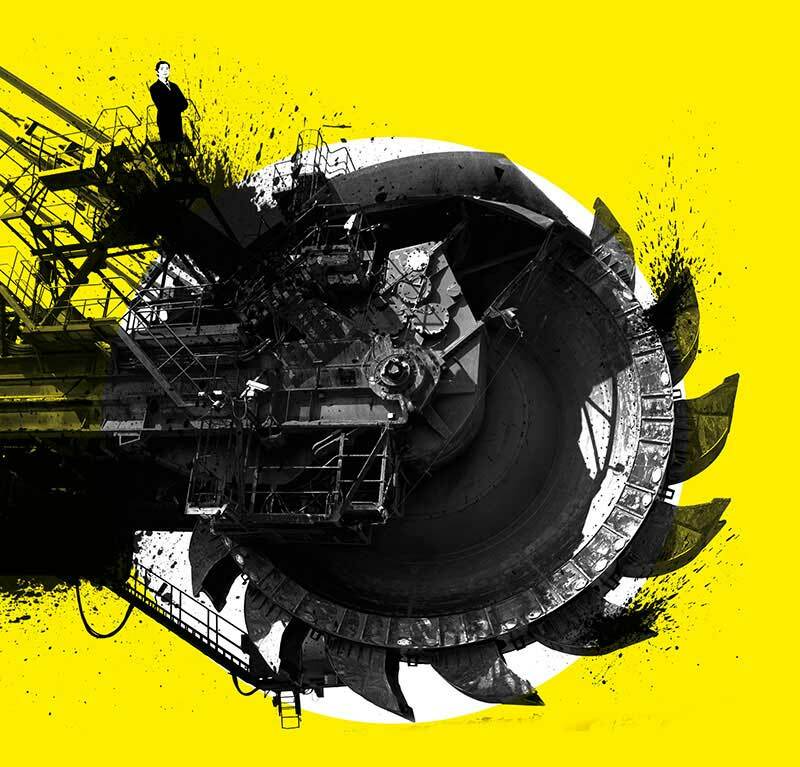 … puts a lot of taxpayers’ money at stake: Vattenfall’s €4.3 billion claim – the equivalent of one quarter of Germany’s entire 2017 health budget– is one of the largest in the history of investor-state arbitration. By April 2018 the German Government had spent more than €15 million in legal and administrative costs to defend the case. Furthermore, Vattenfall has spent €26 million on its lawyers which it also claims from Germany. … leaves citizens in the dark: Experts have slammed the German Government for “intentionally leaving the German public out in dark” about the details of Vattenfall’s claim. Despite billions in taxpayers’ money at stake, not a single case document has been publicly released. A small group of elected parliamentarians have access to Germany’s arguments in the proceedings, but only in a high-security building and they are not allowed to reveal anything they see to anyone. While the Government did agree to livestream a 10-day hearing in October 2016, experts questioned the usefulness of that exercise: permanent recordings were only made available for two days while notes were not prepared at all (so people had to watch 8 hours per day for 10 successive days) and viewers had to follow the complex oral arguments without any of the written materials. … creates VIP rights for foreign investors: Together with German energy giants E.ON and RWE, Vattenfall also sued Germany in its constitutional court. In 2016 the latter upheld the nuclear exit, but condemned the fact that its acceleration did not allow the companies to use formerly allocated electricity output allowances, ordering Germany to find a solution for this problem. Even though Vattenfall obtained justice in German courts, it still continues its parallel ECT claim – possibly counting on a much larger amount of taxpayer money in compensation than would ever be available under German law. Germany’s largest association of judges and public prosecutors has criticised parallel justice systems such as those found in the ECT, which are exclusively available to foreign investors, stating that “the creation of special courts for certain groups of litigants is the wrong way forward”. The European Union as a whole is also a signatory.